As bike-sharing programs continue to gain in popularity in urban environments around the world, new technologies are playing an increasingly important role in helping commuters find bikes to ride. For instance, dockless options allow users to grab or leave a bike just about anywhere, while mobile apps are making it easier than ever to find a bike when we need one the most. No doubt, one of the next big innovations for the industry will be the adoption of electric bikes, and a new ebike specifically built for the bike-sharing market promises to bring pedal-assisted commuting to the masses. 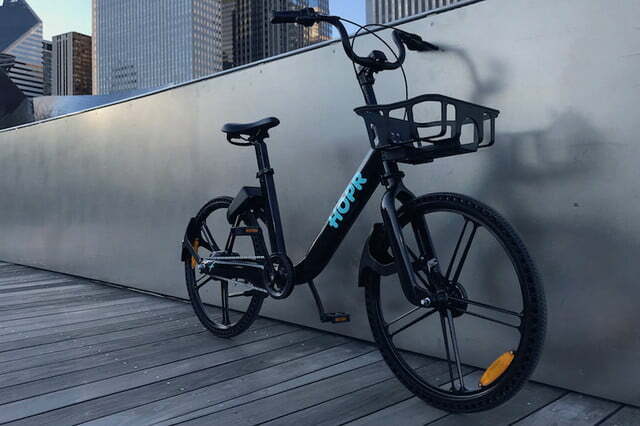 CycleHop, one of the biggest players in the North American bike-sharing market, has taken the wraps off of the HOPR, an ebike that it says will revolutionize the industry. How will it do that exactly? By eliminating the need for bike-share operators to build expensive charging infrastructure to keep their ebikes functioning in the field. 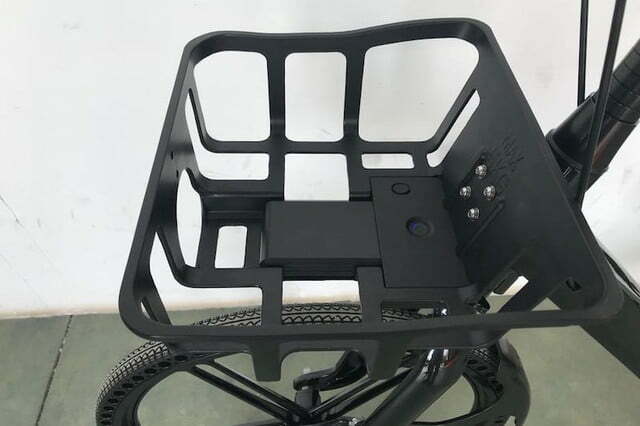 Instead, HOPR users will be issued their own portable power packs that they’ll charge at home or in their office, allowing them to have an ebike power source at the ready at all times. 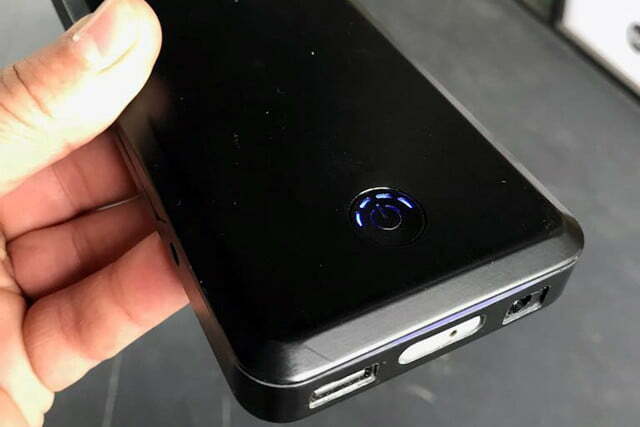 The HOPR’s power source is reportedly not much bigger than a large smartphone and weighs just a couple of pounds. When fully charged, it provides the bike with a range of about 10 miles, with a top pedal-assisted speed of 15 miles per hour. 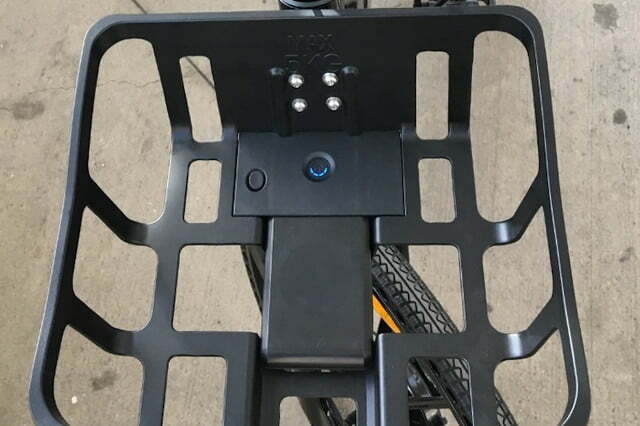 To use the power pack, riders simply snap it into place on a port located in a basket mounted on the front of the HOPR. When they’re done riding, they can pull the battery out and plug it into a standard AC outlet for a quick recharge. 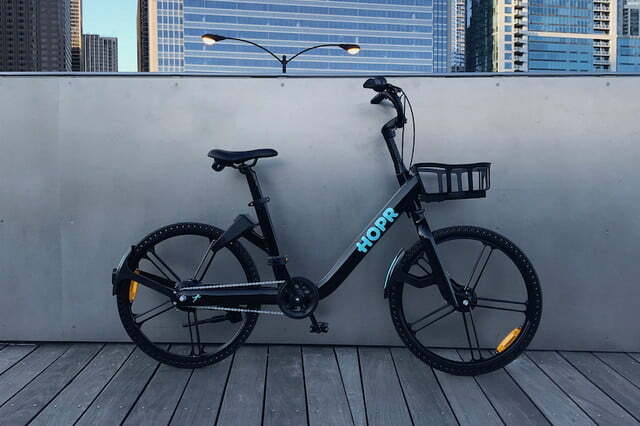 The HOPR ebike made its debut last week at the Shared Mobility Summit in Chicago, and is expected to begin rolling out to cities and campuses across the U.S. and Canada this summer. Where available, it will pair with the HOPR mobile app (available now for iOS and coming soon for Android) to help facilitate the bike-share program.